Please send your pictures and I will put them on-line here. Have a look at the current set. The Local Organizing Committee, at the Instituto de Astrofísica de Andalucía (IAA-CSIC), wellcomes you to this Workshop, and to Granada. Please find essential information on the workshop in the pages listed on the left. 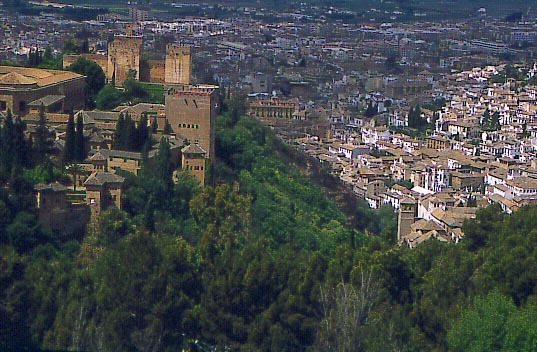 You can find below some aspects that might be useful for preparing your visit to Granada. Please contact us with any comments or questions related with the organization, logistics, etc. Looking forward to seeing you all in Granada next January. The cold air from central Europe reached Andalucia today. Temperatures dropped by about 8 degrees in 24 hours. A beautiful white layer of condensed water covers Granada this morning, and keeps falling in the form of what the oldest in town recall as "white snow flakes". Trees and houses are pretty. It continues snowing at 10 am. Forecast: It may snow or rain throughout today but not tomorrow. During the weekend it will be sunny in the whole Andalucia, but cold. Temperatures will go up a little bit next week, with lows of -5 C (22 F) during nighttime and highs of 7 C (48 F) during daytime, and with some clouds perhaps but mainly sunny. In summary: bring warm clothes ! The Workshop will be celebrated at the Palacio de Congresos y Exposiciones de Granada. It is very central and close to major hotels in town. 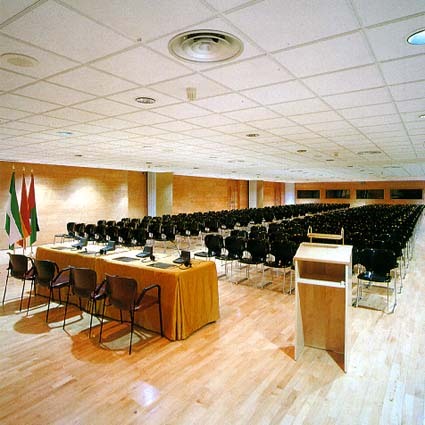 Lectures will be presented in the Exhibition Rooms "Andalucia II and III", and the Posters in the adjacent corridors. Common projection and poster facilities will be provided. These include one overhead projector for transparencies and a PC/video projector, plus a portable computer. The required poster size is 90 cm wide x 100-120 cm high. Special needs can be forwarded to the LOC. The city of Granada is located in the south of the Iberian Peninsula, at the foot of the Sierra Nevada chain of mountains, with the highest peaks of the peninsula, and around 400 km distance from the Spanish capital, Madrid. Detailed time tables for trains and buses to/from Madrid, Barcelona or Malaga can be obtained from the LOC on request. After several requests, I added here some more detailed information for the trip from Malaga airport to Granada (Palacio de Congresos) by car. A package of rooms has been reserved for the Workshop attendees and accompanying people in a number of hotels at a reduced price. All these hotels are very central, except Alixares, which is in a unique situation inside the Alhambra area. See this map for their detailed location. Please contact the hotel of your choice directly to make your reservation. A credit card may be required. 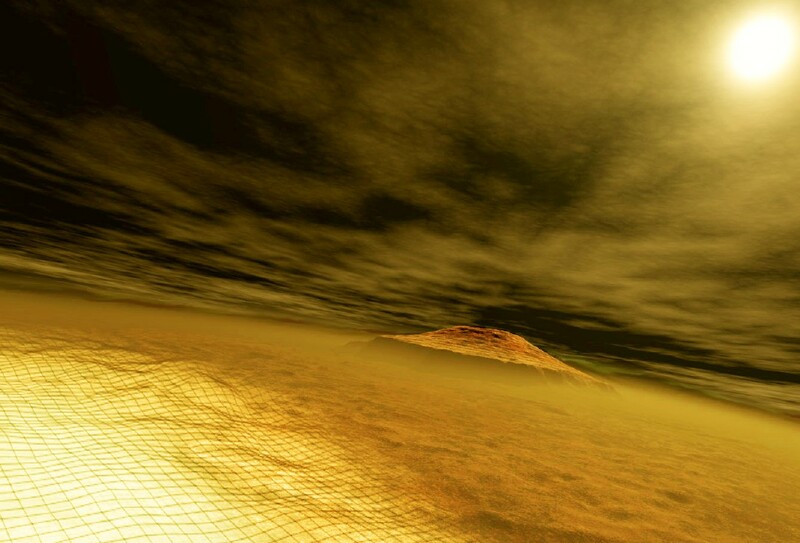 In order to get the discount, you have to state that you are attending the "MARS ATMOSPHERE" workshop. 20 rooms allocated until 1st December 2002. Afterwards, no garantee of availability, nor at these prices. Single Room, including breakfast: 60 Euro 30 min. walk (sometimes steep!) from Palacio de Congresos. There are regular buses to the city centre. 15 dble rooms & 5 sngl rooms allocated until 1st December 2002. We recommend you to do your reservation as soon as possible in order to garantee availability at these discounted prices. Full list of hotels in Granada can be obtained from the web. See some internet addresses below, including hints for budget accomodation in the city centre. These events are included in the Registration Fee. We are currently assuming that everyone will attend them. If this is not your case, please inform the LOC as soon as possible. Buses will leave the main entrace of the Palacio de Congresos at 20:00. After arrival at Carmen de los Martires, there will be a small concert and a reception drink, before the dinner. The place is inviting for formal dressing, but this is not necessary if you do not want to. After the dinner, buses will return to the Palacio and to a couple of points in the city centre nearby the Workshop's hotels. The tour's title is "History and Legend of the Mouresque neighbourhood, the Albaycin". This is a walking tour of about 2 hours along narrow and sometimes steep streets of the old part of town, with magnificient views of the Alhambra. It will start at 21:00 in the well known Plaza Nueva, exactly by the entrance of the Iglesia de Santa Ana. This is about 15 minutes walk from the Workshop's hotels. At the end of the walk, around 23:00, we will walk to the nearby cueva-bar "La Fragua", a cave in the Sacromonte, where we will have a small cocktail, plenty of drinks, and a small flamenco show by a local gipsy group. You are recommended to wear comfortable shoes, and to have some dinner beforehand. Casual wear is perfectly appropriate. Welcome to enjoy the city, its jewel moorish monument, the Alhambra, and Sierra Nevada, the Alpujarras, the Mediterranean coast ... Some links with hints, history and pictures follow. 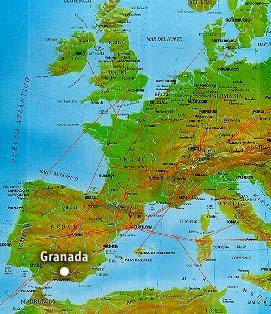 Traveller's Guide to Granada: "The most comprehensive Tourist Information about GRANADA on INTERNET". Granada en la red. (English, Spanish) This is quite comprehensive site. Useful links in http://www.meligrana.com (goto to "hostales/pensiones" with your Spanish dictionary at hand). Another Internet Touristic Guide to Andalusia. Bike routes around Granada (Spanish). And "tapas" routes in several parts of the city (Spanish). Cuisine and "platos tipicos" of Granada (Spanish). City Council web page. (Spanish) Maps, cultural agenda, pictures, etc. Some interesting statistics about Granada.